You can find more information about Harper Creek here. If you have reports or documents you would like to have included here, please email Dylan Radcliffe. We have attempted to include the most accurate and up to date information here, if you see any errors or omissions, please feel free to contact us. 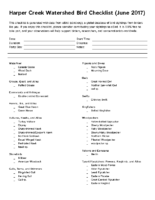 This is a bird checklist created from the amalgamated data from ebird.org for the Harper Park birding hotspot. 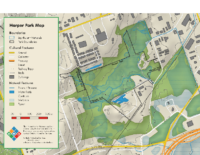 People visiting Harper Park are encouraged to submit their sightings to ebird.org. This checklist was updated May 26th 2017. 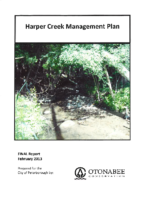 Management Plan for Harper Creek. 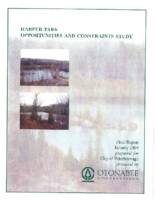 Prepared for the City of Peterborough by Otonabee Conservation 2013. 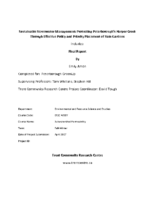 Primarily a document assessing the condition of culverts and other stormwater infrastructure in the creek.